Generally speaking, Americans are a generous lot. According to Giving USA, gifts to U.S. charities amounted to $390.05 billion in 2016. Perhaps one motivation for being generous is that qualified charitable contributions are deductible on your taxes. Frequently, December is a particularly active month for donations because only donations made during the tax year are deductible on a tax return for that year. This is how the holiday season impacts the tax season. Beyond simply writing a check, there are many other ways you can help charities in their work while lowering your tax bill. The IRS gives generous allowances for many types of donated items, but it’s up to you to save your records and know how much you’re entitled to deduct. For your donation to qualify for a tax deduction, you must contribute to an organization on the IRS’s list of qualified charities. Many major charities and religious groups are on the list, but if you donate to a smaller group and you’re not sure whether your contributions are legitimately tax deductible, check the IRS’s list. You can specify some or all of the search items: EIN (Employer Identification Number), Name, City, and State. The more you specify, the better the search results. Keep in mind that you can never deduct donations to foreign charities – however, many foreign charities have an American branch to which you can contribute a tax-deductible donation. Also, remember that charitable donations are an itemized deduction. For itemized deductions to be of benefit to you, your combined itemized deductions need to be greater than your standard deduction. Generally, charitable contributions can be deducted up to 50% of your Adjusted Gross Income (AGI). The 50% limitation applies to public charities and private operating foundations. A 30% limitation applies to private foundations, and to contributions of capital gain property using fair market value to figure your deduction. A 20% limitation applies to certain gifts of capital gain property to non-50% organizations. Generally speaking, the limits apply from highest to lowest. If your donations to 50% organizations are less than 50% of your AGI, you can deduct contributions with a 30% limit up to the lower of 30% of your AGI, or 50% of your AGI minus your 50% donations. Consult IRS Publication 526 for more details. If you donate more than the deduction limit, you can carry over the extra to the next year’s taxes and deduct it then. The carryover applies for up to five years. The same limitations apply to the amounts carried over in the year they are applied. If you’re planning to make a large contribution, ask the organization or check its deductibility code in the IRS database. The IRS may list one of a dozen deductibility codes to let you know of any specific rules that apply to donations to a particular organization. 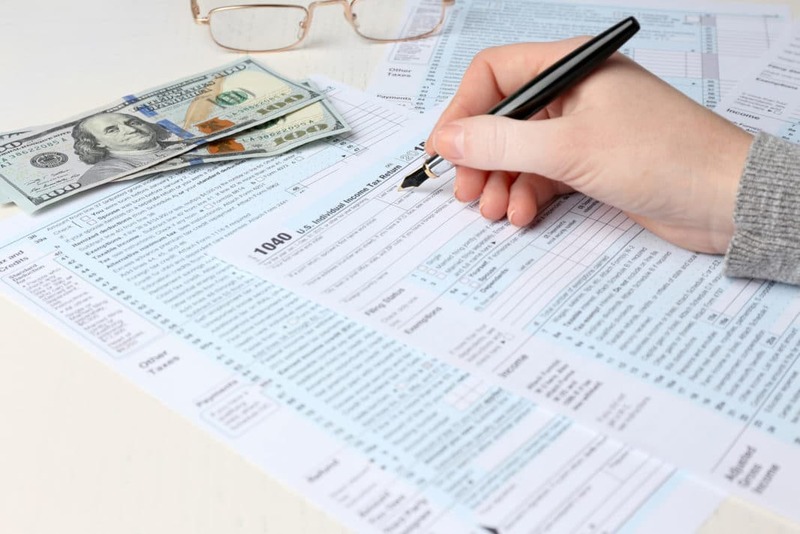 If there’s no deductibility code listed, then the organization is a public charity to which donations of up to half of your adjusted gross income (in most cases) are deductible. To deduct your charitable contributions, you need to itemize your deductions. Just be sure to check that your standard deductions are less than the itemized deductions you’re eligible to take. If you donate $250 or more at a time, you need a receipt from the organization. For smaller gifts, your canceled check or other documentation is all you need. For example, if you give a regular weekly donation of $25, you don’t need a receipt as long as you have some kind of record, even though your eventual contribution is greater than $250. You can certainly ask for a receipt for any amount donated. Many organizations send you a total at the end of the year. If your contribution level is below $250, keep your canceled check, credit card receipt, or written record from the charity, or draw up your own simple record for your file. Include the date, official name of the charity, and the amount. If you’re donating to an event like a 5K or walk-a-thon, make sure you get the name of the organization, not the individual event. If you made a donation via text message, keep the phone bill or other record of the text. Simply file these records with your other tax paperwork – you don’t need to send all of these receipts and files to the IRS. Everyone loves free stuff, but when NPR offers you a tote bag in return for making a donation, you must subtract the value of the tote bag or any other items received from your charitable donation. The charity can usually tell you the value of the items you received, and will likely include it on your receipt. For example, if you attend a charity fundraising dinner and pay $100 per ticket, your receipt will show your $100 donation minus the value of your dinner. Only the part of your donation that didn’t pay for your dinner (or tote bag) is tax deductible. If you receive any intangible religious benefits, such as admittance to a ceremony or a reading performed for a relative, you should make a note of it. However, there’s no subtraction from your donation. With text message and online donations, it is quick and easy to donate cash. It’s just as easy to forget the many other ways of supporting a charity or cause. And, it’s sometimes harder to quantify the value of non-cash donations, especially when they have sentimental value. These non-cash donations are often important to an organization, and they’re usually tax deductible for you. Non-cash donations totaling less than $500 do not have to be separately listed. However, for total non-cash donations in excess of $500, you must fill out and file Form 8283. When you donate household items or assorted clothing, you can only deduct the fair market value of items that are in good condition. The value of your donation is not what you paid for it, but the price the item would raise in a thrift store. While rips and dents don’t mean that a charity can’t put your donation to good use, clothes and appliances that are damaged beyond repair don’t have any value when it comes to deductions. If your clothes or household items aren’t in good condition but are worth more than $500, you need a professional appraisal. Before you donate, lay out the items and make a list of what you’re going to contribute. For example, how many dress shirts, t-shirts, and pairs of sneakers or dress shoes. You can visit a thrift store to see the prices of similar items, use Goodwill’s online valuation guide, or check with the Salvation Army to get general guidelines on prices. The Salvation Army list has low and high price suggestions, and columns for you to note the number and total price of your items. Be honest about the condition your items are in and the prices they might fetch. Once you have this accurate inventory, you’re ready to take your donation to a drop-off center. Be sure to keep an inventory and associated value of the items you donate. Get one of their preprinted receipts with the name and address of the charity and the date of the donation. If you think your total donation is worth more than $250, ask for an official receipt and show them your estimate of what your donation is worth. The IRS isn’t going to count how many socks you donated, but they may notice if your estimates are overly optimistic. Many large charitable organizations are happy to accept shares of appreciated securities, such as stocks or mutual funds. The donation value is the share price of the security on the day you donate it – that is, the day you mail it or complete an electronic transfer. Donating a stock that has increased in value is usually a better tax move than contributing the same amount of cash, as long as you have held the stock for more than one year. If you donate a stock that is worth more than when you bought it, you avoid capital gains tax and get a deduction for the entire value of the stock, not just what you paid for it. For example, if you bought a share at $10 and donate it when its value is $100, then your donation generates a $100 deduction. If you sold the stock and donated the profit, you’d have to pay capital gains tax on $90, which would reduce the donation amount (and your deduction). By transferring the share before selling, you can deduct more, and the charity gets a more valuable contribution. Depending on the charity to which you donate, the amount you can deduct may be limited to 30% of your AGI. Keep in mind that if you donate assets you’ve held for a year or less, you can only deduct your original purchase price. For those who are 70.5 or older and want to donate their RMD (Required Minimum Distribution) from an IRA to charity, the PATH Act of 2015 (Protecting Americans from Tax Hikes) made that opportunity permanent. Called Qualified Charitable Distributions (QCD), one can contribute appreciated stock held in an IRA up to $100,000 to a charity, avoid income tax, and get a charitable deduction, plus have it count as your RMD for the year. If you have a car, boat, plane, or other vehicle to donate, you may qualify for a tax deduction. These donations are more straightforward than other non-cash contributions. When you donate a vehicle worth more than $500 to a qualified organization, you should receive a Form 1098-C reporting the value of the vehicle. This form lists the value of the car and the date of the donation. If the charity sells the vehicle, the proceeds from the sale will also be on the 1098-C, which is the amount you can deduct as a donation. If your vehicle is worth less than $500 (and you don’t receive Form 1098-C), you can generally deduct the lesser of the vehicle’s fair market value or your basis in the vehicle. You can use the private party value from the Kelley Blue Book as the fair market value. However, if the vehicle needs significant repair, and you could only sell it for an amount less than the blue book estimate, then the lower sales amount is the amount of the charitable donation. This IRS brochure provides more details and examples. If you did volunteer work for a charity and used a personal vehicle or took public transportation solely for volunteering, you can deduct mileage or the cost of your public transportation as a donation to charity. The mileage you can deduct for tax year 2017 is $0.14 per mile. You can also deduct tolls and parking fees. Any other items that you purchase for a charity while you are volunteering are considered a donation, such as pens or painting supplies that the charity needs for a project. However, the value of your personal time is not tax deductible, even if you are providing a service that the organization would otherwise have to pay for. When you’re planning your charitable contributions with tax deductions in mind, remember that you’ll only see a tax benefit if you itemize. If you don’t have a lot of other deductions on your Schedule A – such as mortgage interest and real estate taxes – it may not make sense to itemize, since your itemized deductions may be less than your standard deduction. For 2017, your standard deduction is $6,350 if you file as single or married filing separately, $12,700 for married filing jointly or qualifying widow(er), and $9,350 for filing head of household. If your total deductions from Schedule A do not add up to more than those amounts, you’re better off taking the standard deduction. However, if you’re near your standard deduction amount, you could choose to lump your donations into one year – donating on December 31st, for example, what you would have donated the following year. This could boost your deductions over the standard deduction threshold so that you could itemize and get a tax deduction for your donations. The following year, you might go back to the standard deduction, but the year after that, you could implement the same plan. Saving a little bit on taxes every two or three years is better than not saving at all, and being smart about the timing of your donations can help you make sure you get the most tax-saving value out of them. Charitable contributions help you improve the world – and your tax bill. The rules can be complicated, but it’s worth your time to know what you’re entitled to deduct to get your maximum refund.